School teachers have a reputation of choosing favourite students and ignoring the rest of the class. We've all seen teachers like that. But some teachers go beyond their call of duty and make education for all their priority. 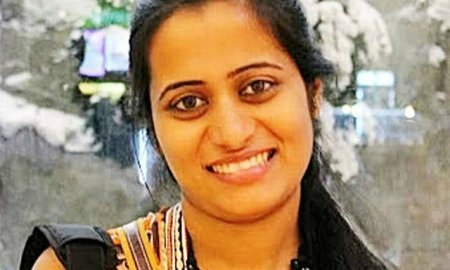 Bengaluru's Roshni Mukherjee is one such teacher. She started ExamFear which educates students online. “We could sense a huge scope of improvement in the teaching methods. Lack of good teachers & good schools with quality education in remote areas prompted us to start with creating online video lessons so that we can reach all parts of the country,” says Ms Mukherjee. “Quality education, at the same time is quite expensive which makes it unaffordable for many parents.” She started making and uploading videos on YouTube for Class 11 and 12 students in Physics, Chemistry, Mathematics and Biology. The only tools she had at first were Powerpoint and a microphone for the voice-over. Roshni Mukherjee did her M.Sc from Delhi University and wanted to do a Ph.D, but personal circumstances diverted her from academics to a corporate job. Ms Mukherjee started ExamFear in 2011 while working for a multi-national corporation. She would dedicate her after-work hours and weekends to developing the website and making videos. When the website and the demand grew, Ms Mukherjee decided to quit her job and work on ExamFear full time. A few weeks ago, they also launched a mobile version of the website.